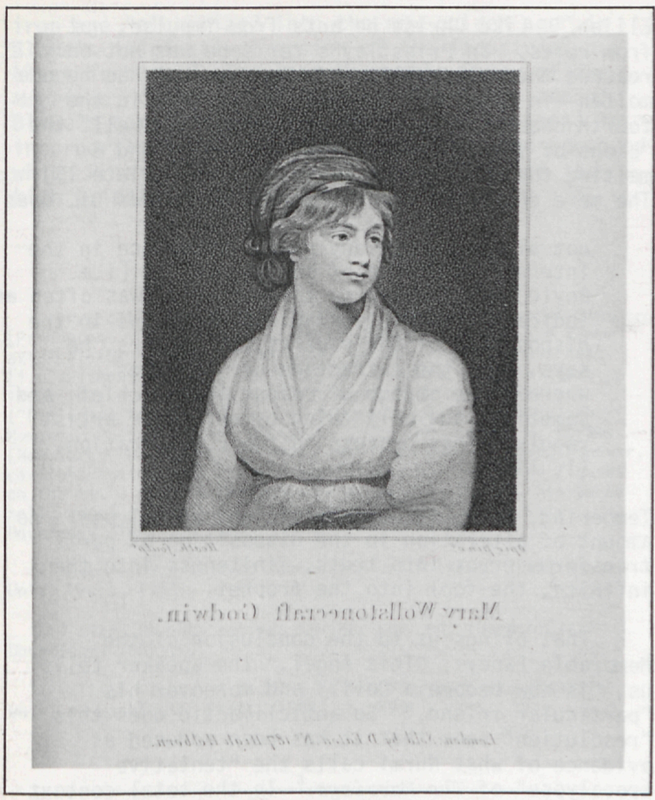 Readers of Blake may be interested to learn that the original copper plate for the engraved frontispiece portrait of Mary Wollstonecraft Godwin (illus. 2) is in the Department of Drawings and Prints of The Pierpont Morgan Library, New York. It was given to the library in 1976 by Miss Louise Crane in memory of her mother, Mrs. W. Murray Crane. 1 Portrait of Mary Wollstonecraft Godwin, engraved for William Godwin’s Memoirs of the author of ‘A Vindication of the rights of women,’ (1798). author of ‘A vindication of the rights of women,’ London, for J. Johnson, 1798. The most startling of these changes is the enlargement of the portrait from its original oval shape to that of a rectangle. Under correct lighting it is possible to see the original oval shape, the different handling of the additional stipple work, and the added background shading lines. On the copper plate it is also possible to discern the artist’s and engraver’s names in their original positions, now on Mary Godwin’s forearms. The J. Johnson imprint has been erased and replaced by one reading “London: Sold by D. Eaton, No. 187. High Holborn.” Despite these seemingly major differences, it is clear under microscopic examination that this same copper plate was used in the 1798 J. Johnson edition. Eaton, the later publisher of the portrait, had been found guilty of publishing Paine’s Rights of Man in 1793, and was a frequent prisoner in the pillory for other publishing offences—see Timperley’s Encyclopaedia of Literary and Typographical Anecdote, 1839 (rpt. New York: Garland, 1977). 2 The copper plate of the same portrait, re-worked in a rectangular format, published by D. Eaton. 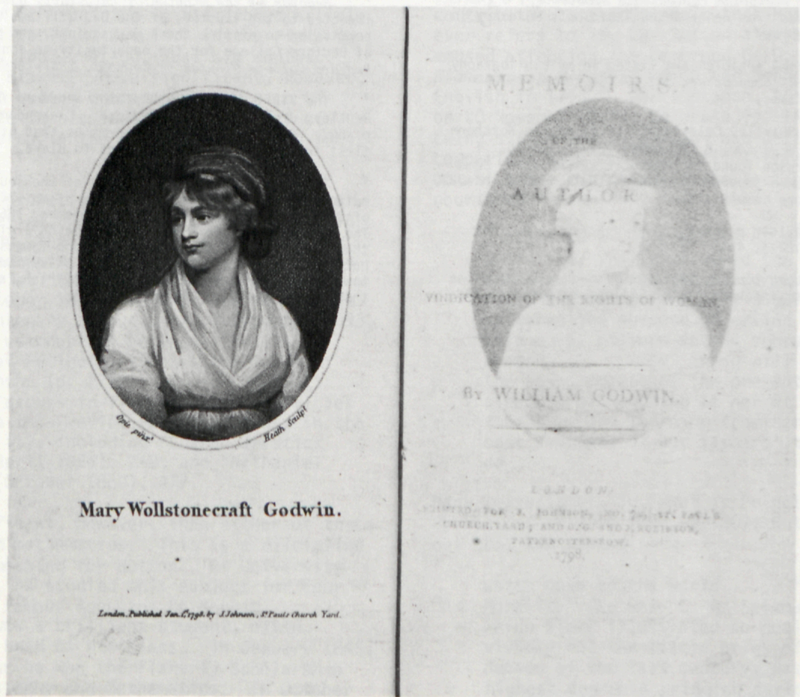 I have been able to locate only one impression of the frontispiece in its rectangular form as published by Eaton, in a copy of Mary Wollstonecraft Godwin’s Letters written during a short residence in Sweden, Norway, and Denmark . . . second edition, London: Printed for J. Johnson, St. Paul’s Churchyard, 1802 (PML 46004). Traces of glue on the frontispiece suggest it was inserted in this copy, rather than being an integral part of the book; I have been unable to locate another copy in the New York area. I would therefore appreciate hearing from any reader able to locate the appearance of the portrait in its rectangular form.